As of February 1, 2019, our Project Reach Out mobile harm reduction units will also be offering free screenings for chlamydia and gonorrhea. 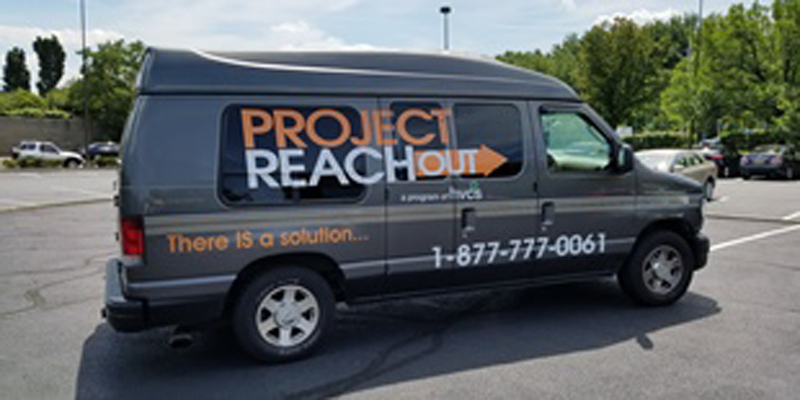 The PRO staff, who travel in vans to areas of high need throughout the Hudson Valley, work primarily with people who are homeless or in unstable housing, and help them access the services they need to reduce the harm of drug use and their risk for HIV, Hepatitis C and STDs. Chlamydia and gonorrhea infection rates in New York State have increased every year since 2013. Infection rates among African-Americans are disproportionately high, making up 23% of chlamydia rates and 33% of gonorrhea cases in 2017. These statistics further support the need for expanded STD testing in the vulnerable neighborhoods where PRO typically offers services. Click here to learn more about our Project Reach Out program. This entry was posted on Thursday, February 7th, 2019 at 5:41 pm	and is filed under News. You can follow any responses to this entry through the RSS 2.0 feed. You can leave a response, or trackback from your own site.